The Guild Wars Trilogy is on sale via steam at the moment. 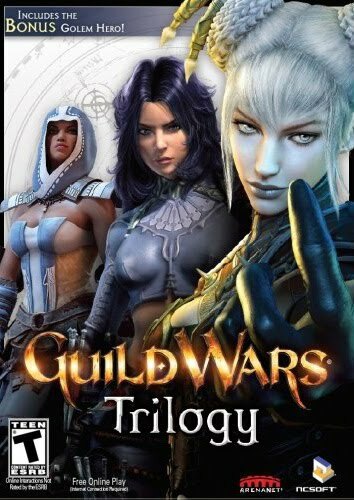 Its $19.99 for all three Guild Wars games. I decided to drop the twenty bucks for it after reading the Guild Wars 2 Manifesto the other day. I want to understand the pedigree Guild Wars 2 will have, so I need to check out the first Guild Wars games. I played the very first one way back when it was initially released but I never got around to checking out the expansion packs. I know each is a stand alone game, so I will probably dive into one of the expansions instead of touching to original again. With the sale going on, now is the perfect time to revisit the series. Yeah, steam deals are amazing, but they drain the bank account sometimes. But, the deals are SO AMAZING!